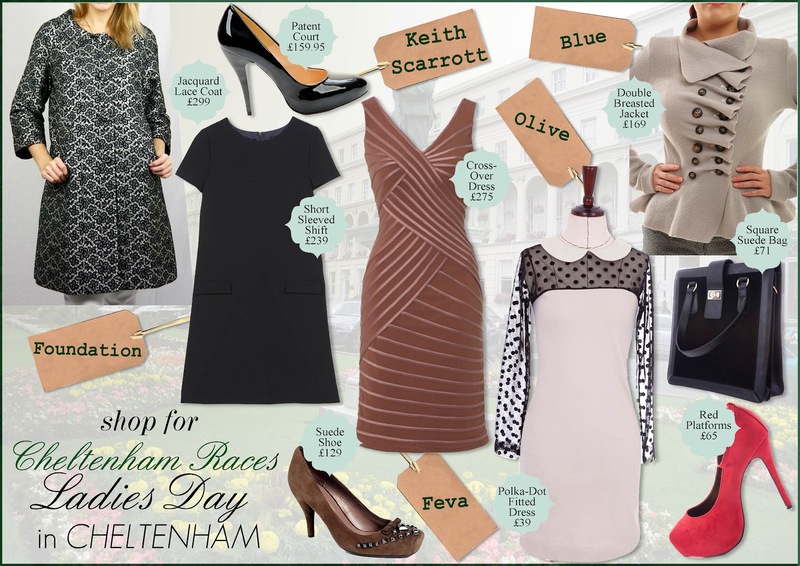 If you're heading to Cheltenham Races next week and are looking for the perfect Ladies Day outfit, why not shop in Cheltenham's finest independent boutiques. You can also read Cheltenham Fashion Week and my style tips for Ladies Day here! Olive is a new addition to the Cheltenham shopping scene and thoroughly needed. Olive sells unique, vintage-inspired pieces, beautifully designed and crafted, run in small limited lines, granting an exclusivity not found elsewhere. Feva is a womenswear boutique offering designer fashion at an affordable price. Housing a range of clothes for all occasions, you are sure to be the centre of attention, for all the right reasons, when you purchase an outfit from Feva! Opened in 2000, Blue continue to discover an exciting array of clothing brands, designs and accessories to tempt their customers. Clothing & Accessories Boutique, Foundation, began in the beautiful Cotswold town of Stow on the Wold in 2003. When I was studying for my degree I would travel home from London to work at Foundation as a sale assistant and get my countryside fix! It was during this time I fully fell in love with the shop and their brands. The Cheltenham Shop opened in Montpellier in 2005 and both contain well known designer brands with a few exclusive brands you may not have heard of. Foundation was one named as one of'The 50 Best Fashion Shops Outside London' by the Telegraph and won 'Womenswear Retailer of The Year' in 2010. This independent shoe boutique houses Italian and Spanish designs that are truly something different. Since I was a young girl I was always captivated by their shop window, longing for the time I could wear shoes like theirs. The collection holds something for everyone from the stylish practical options to some daring high heels!